We’re assumedly just over four months away from another disturbing and darkly hilarious season of American Horror Story, and we have just over zero ideas about what to expect from it. Thankfully, casting news is trickling out like blood from a freshly gouged eye socket, and we know of at least one more actor that will draw out some wackiness from Ryan Murphy’s FX shocker: character actor Leslie Jordan, last seen in American Horror Story: Coven. 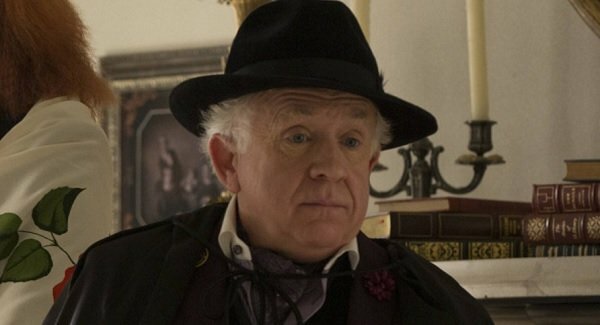 With a face you’ll no doubt recognize from a plethora of movies and TV shows over the years, Leslie Jordan is familiar to American Horror Story fans from his brief but fantastic time on Coven as Quentin Fleming, one part of the flamboyant and judgmental Council of Witchcraft. (He was joined in that group by Robin Bartlett’s Cecily Pembroke and Frances Conroy’s fabulous Myrtle Snow.) Quentin didn’t last too long, although he didn’t go away before having a dark secret revealed and his face desecrated. Will we get something more extreme out of Jordan in Season 6? It’d be silly to think otherwise. Jordan himself is the one who came out and revealed his involvement with the show’s upcoming season. Here’s what he told Washington Blade, also sharing that he could have appeared in Freak Show as well. I’m booked all summer, then on July 7, I go back to American Horror Story with Lady Gaga, isn’t that fun? I did one season on Coven. They offered me another season but I got offered a reality show in London and I needed the money. Let me tell you, those reality shows pay a lot of money. So I turned down Freak Show, biggest mistake of my life. I didn’t think Mr. (Ryan) Murphy would want me again because I turned him down, but he did. Considering how large Ryan Murphy’s stable of actors has gotten over the years, I doubt he’s holding grudges against actors who can’t appear due to other engagements. Even if those engagements happen to be the 14th season of Celebrity Big Brother. So thankfully, Jordan’s instincts were off on this one. And to think that Leslie Jordan and the returning Lady Gaga will be in the same scenes together. At least, if we can take what he said literally. That should be a solid partnership, especially if Frances Conroy joins them. We know Jessica Lange won’t come around anymore, but there are plenty of other combinations to be made from those willing to return, such as Angela Bassett, who also confirmed her presence in Season 6. Relive one of Leslie Jordan’s Coven scenes below. You can check out all of American Horror Story: Coven currently streaming on Netflix, with Season 6 probably premiering on FX in October.